Pacific Stream Canine® Formula with Smoked Salmon is rated 4.8 out of 5 by 143. Rated 5 out of 5 by Carolyn from Taste of The Wild I have been feeding Taste of The Wild for nine years now to both my Long Haired Chihuahuas and my Min Pins, with out a doubt it is the best food I have ever been able to buy they have thrived on it. There coats are beautiful and since I mix the food using the salmon as a base and then another flavor, I have been able to cut out the omega 3 suppliment I used to add as they get enought through the food. It upsets me to see the negitive comments that seem to fly around right now saying this is the food that is causing problems. I will continue to feed my dogs Taste of the Wild with no hesitation that they are getting the best diet available out there. Rated 5 out of 5 by MDLines from 2 Great Danes - They love this food! We own 2 Great Danes, they have been eating The Taste of the Wild Salmon Dry Dog food for 4 years now. First started our Male Dane on TOTW when he was a puppy and had puppy acne. The Quality of the food helped to clear up his acne and balance his diet. He has been eating it ever since. Our Female Dane has skin allergies and switched her to TOTW and this helped to balance her outbreaks and provide a healthy smooth coat. We had to get her a slow eating blow so she wouldn't eat the dog food too fast, safe to say she enjoys the taste! They are both very healthy, strong, and fit dogs. Rated 1 out of 5 by Biffy from Stop with adding pea protein A few years back I researched a lot of foods to find one my dogs could eat, due to numerous food allergies. I chose pacific salmon formula. However, over the last year, I have noticed facial itching and ear infections again and could not figure out why. Now I know. The formula was changed and peas were added. Now it is back to the drawing board. At least Other brands had the decency to put a large call out on their food when they changed formulas and added peas. Can't feed taste of the wild anymore. Rated 5 out of 5 by Benny from Best food for Wheaten Terriers We have owned three Wheaten's over the past 35 years and our first two unfortunately did not dine on Taste of the Wild. They both had skin allergies and were always at the vet. Our third dog Bogey dines only on TOTW Pacific Stream and its unbelievable what a difference it has made. No skin problems, tons of energy, great teeth and as healthy as can be ! He is 2/12 years old and loves his Taste of the Wild !! Rated 5 out of 5 by TheCoultersofWesternMass from Best food for Doberman Pinschers We feed this wonderful product to our huge Doberman Pinscher, Zeus. He is the picture of health with no digestive or skin care concerns ever. He produces dense bowel movements which makes taking care of him easier. Yes, it's a wee more expensive. It's a joy to have such a happy and healthy dog! Rated 5 out of 5 by Mike from Our bulldog loves it! Was recommended by the vet for our 4 year old bulldog. He was having an allergic reaction to a number of other grain free foods. Since switching he's been doing good, his tear stains are completely gone, and he does shed half as much as he use to. I cant believe how much of a difference this food made for our dog. Your Smoked Salmon recipe sounds like it would be good for our rottweiler with the possible exception of the ocean fish meal. Our dog had a sensitivity test done and has a sensitivity to white fish. Does your Smoked Salmon recipe have white fish in it? Hello, thanks for your question. Our ocean fish meal does contain whitefish. If you&rsquo;re looking for a formula without ocean fish meal, our Sierra Mountain Canine Formula does not contain any. 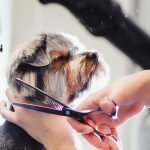 One of our product specialists would be happy to help determine the best formula for your Rottweiler. Feel free to give them a call at 1-800-342-4808. Hi, thanks for your question. Our Pacific Stream Canine Formula contains 1.9% calcium and 1.1% phosphorus on an as-fed basis. How much iron is in this kibble? Hello, Jenny and thanks for your question! Pacific Stream Canine Recipe contains 160 mg/kg of iron as-fed. Hey there! Have been using TOW products for years. I have been feeding the Pacific Stream and have it auto shipped to our 2 Dobies. Female 100 lbs. and Male 125 lbs. Do I have to worry about Mercury content in this food? They eat 2 bags/mo &amp; free feed. Hi, Belle. Thank you for being part of the Taste of the Wild family! Please be assured there is not a mercury risk to feeding any of our formulas as all of the fish used in our foods are low-mercury species. Hello and thanks for reaching out. We&rsquo;re sorry to hear about your Akita&rsquo;s kidney disease. 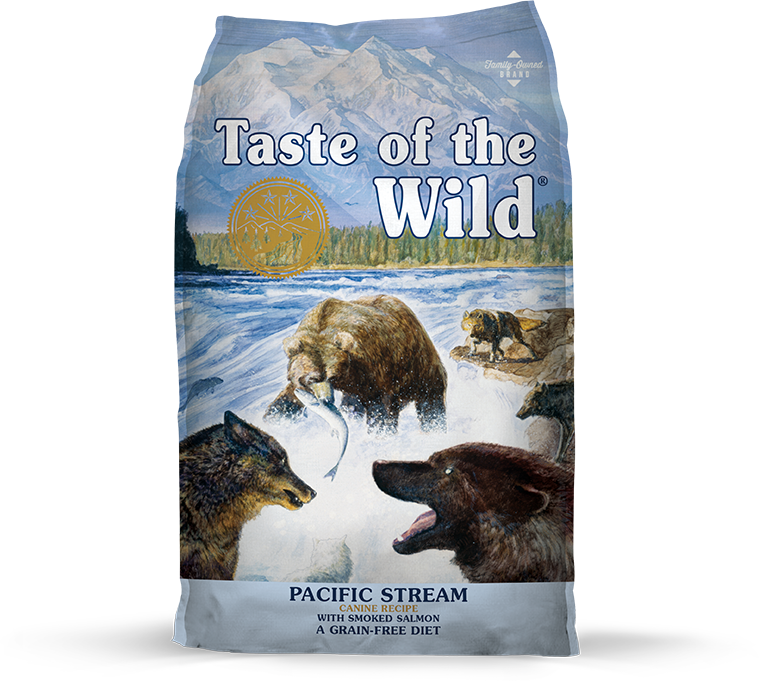 Our Pacific Stream Canine Recipe contains 1.1% phosphorus on an as-fed basis. Out of our recipes, Pine Forest Canine Recipe contains the least amount of phosphorus at 0.9% on an as-fed basis. Because Taste of the Wild does not offer a prescription kidney diet, we recommend working with your veterinarian to determine the best recipe for your pup. If you have any additional questions about our recipes, please don&rsquo;t hesitate to reach out. 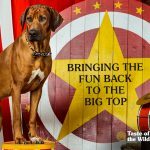 Please contact us by visiting https://www.tasteofthewildpetfood.com/contact-us/. 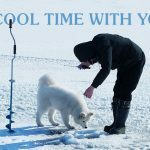 How can I get TTW dry dog food coupons, I have Alaskan Malamutes and they are show dogs, I have fed the Pacific Stream for several years and they love it. Hi, Janie! Thank you for choosing Taste of the Wild. At this time, we do not offer coupons. We believe in providing foods that are of the highest quality at an everyday value rather than offering coupons. At Taste of the Wild, we continually evaluate our procedures to eliminate extra costs while maintaining the highest standards for our products. However, we do offer a loyalty program to show appreciation to our Taste of the Wild customers. When you purchase ten bags of the same size for the same species, you will receive the 11th bag free. Please know, all bags must be purchased at the same retailer location. To find a retailer near you or to inquire if your retailer offers the TOTW loyalty program, please visit our where to buy page https://www.tasteofthewildpetfood.com/where-to-buy/?cs=mlPlease contact your retailer. Hello and thanks for reaching out! Each cup of Pacific Stream Canine Recipe weighs approximately 4 ounces. I've been feeding my dogs Taste of the Wild fish formula for years. Last night a friend mentioned a mercury concern in fish formulas for dogs. Has this food been tested for mercury content? Hi, Patricia. All of the fish used in our foods are low-mercury species.